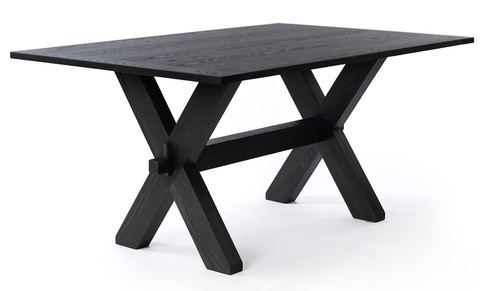 Made out of solid ash or walnut, the Buck Dining Table celebrates craftsmanship and simplicity with a clean graphic take on the traditional "sawbuck" table. Available in all standard stains. Available in a variety of dimensions in solid oak, solid walnut or a variety of stains on solid ash.